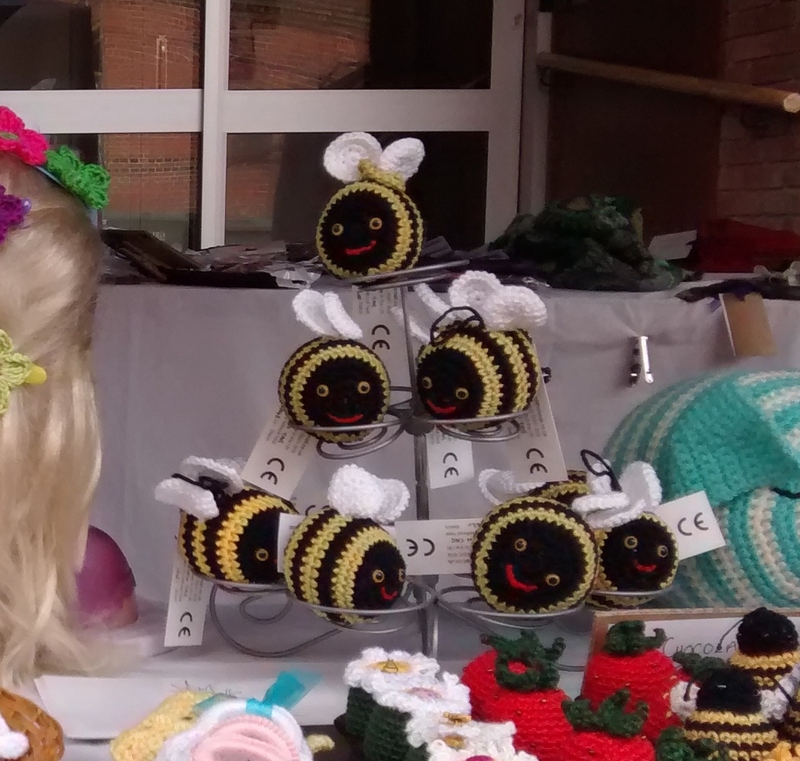 String Theory Crochet: Crochet Bee for sale but how much should I charge? 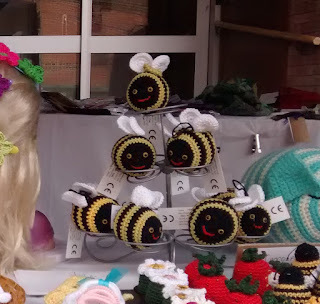 Crochet Bee for sale but how much should I charge? One of our best selling items is this little bee. I thought it would be interesting to work out exactly what it costs to make. So I have carefully weighed and costed all of the materials. Time to make a whole bee = 41 minutes so let us assume that we should earn at least £6 per hour and the thing took 40 minutes, just to make the sums easier. Then the time costs are about £4. ( for those in the know all the materials above have an EN71-3 certificate ).So there are cheaper materials available but who would want to sell toys for babies and children that are not safe? The time taken for testing and the fact that the tested toy is not saleable have not been included in this calculation. Neither have the compulsory CE labels at 16p each. 3. It is also true that both of us are highly skilled ( and modest ) and so would expect a better wage. 4. I have not included the cost of a pitch at a craft fair or the petrol to get there or even a wage for working all day selling the work..
5. When it comes to selling your handmade items you can try to sell them for what they are really worth but will probably not make many/any sales.